EGGER Barony is one of Ayrshire’s biggest employers and a significant user of energy. 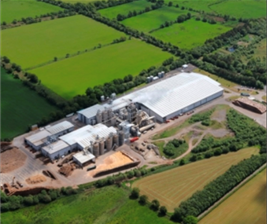 The site produces around 400,000 m³ of raw chipboard on an annual basis. The energy consumption at the site is driven by process requirements with a small percentage related to the operation of the factory offices. The client requirement was to undertake a two stage energy supply options study. The focus of the Stage 1 project was to identify suitable technologies that could be taken forward for further detailed evaluation.